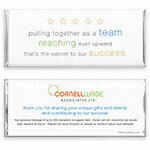 Say thank you, congratulations, and "way to go" to your winning team with this classic wrapper design. Design: Five stars and colourful text create a motivational look. 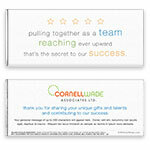 Personalization: Front message, back logo, title and message.